Want to Book GenX for your Venue, Festival or Event? Booking GenX is very easy. GenX is comprised of 6-7 talented musicians along with couple of extremely talented and professional sound and light technicians. GenX DOES NOT perform with or to any recorded tracks or other sequenced music. Being a cover band, we feel that in order to provide the highest level of musical integrity and dedication to our audience, We produce the sound that the crowd is hearing live at every performance!! The minimal area GenX requires for a successful show is 24×12 or 30×10. We can accommodate smaller sizes, but the stage square footage needs to roughly be the same. 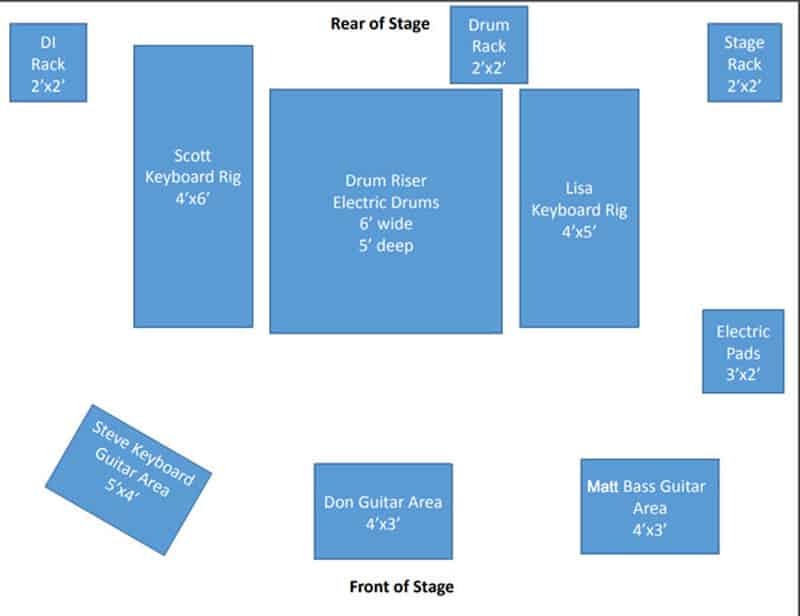 Our sound equipment and lighting equipment (While greatly scalable) rivals some of the largest professional band setups in the Tri-State. 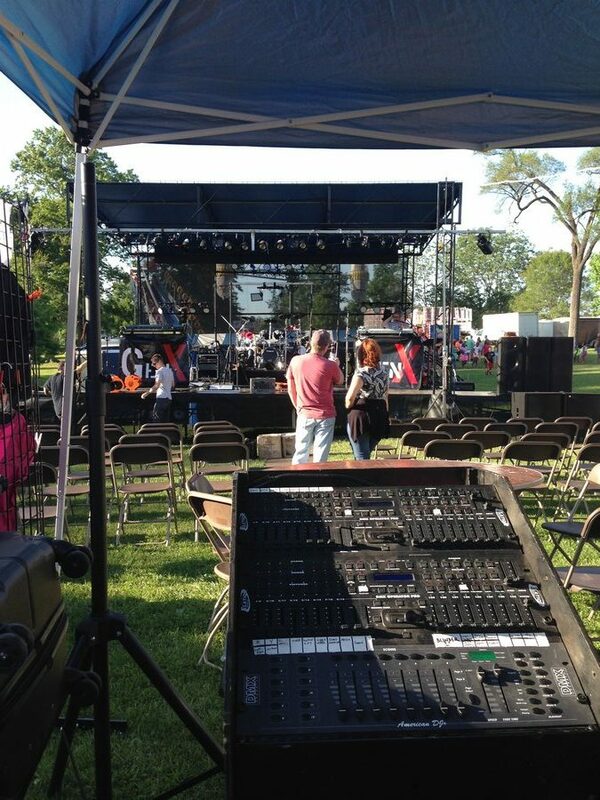 In fact,GenX stage equipment is extremely plug-n-play to larger concert scale professional touring equipment. 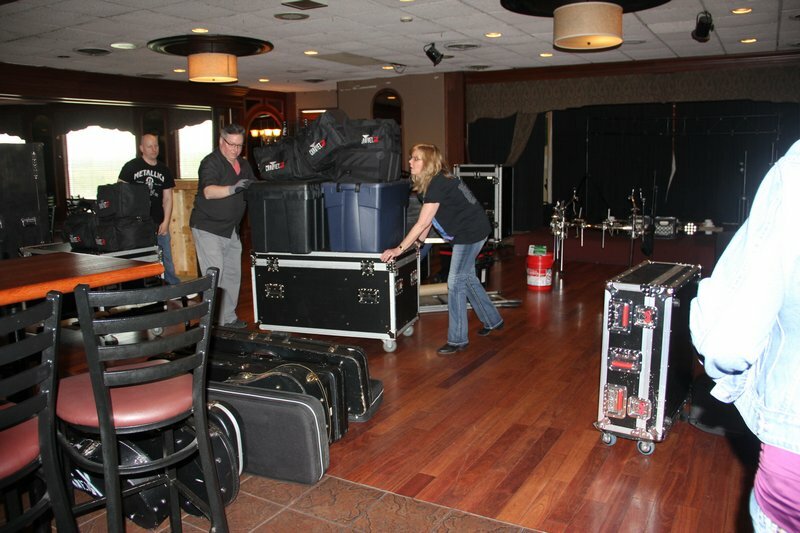 GenX has hosted (Solely used GenX’s Production equipment and personnel.) national Touring acts and has opened for National touring acts for larger concert events. Ambrosia, The late Daryle Singletary and others. GenX members have had very professional music careers and has opened, and been part of concerts for many large stars, entertainers and audiences. To discuss your event in full detail, please contact Don Simpson (859) 991-2674 directly or fill in the contact form below. GenX sells and may toss out a few giveaways (T shirts, Koozies, etc) to the crowd. If you would like to partner with GenX and have your venue name added to giveaways, please contact us so we can make arrangements. Interested in GenX playing at your Festival or Venue? Talk to us right away by phone or fill out the contact form below, and someone will contact you shortly. Click below open full layout view and for printing.